3 - CEX or DEX? accounts for the volatility and massive price swings that we see on crypto markets. Another notable hack occurred at one of the world’s most popular exchanges, Bitfinex. In the second largest crypto hack witnessed, 120,000 BTC was stolen. Because blockchain data inputted is immutable, it is more susceptible to theft by hacks. centralized exchanges (CEX) and, more recently, decentralized exchanges (DEX). institutions to participate in the market efficiently. are not as vulnerable to hacking, providing more security than their CEX counterparts. liquidity that would motivate institutional investors to enter the market. funds from the wrong sides of contracts. would be broken by its users whenever a better competitor would show up. order book updates, traders are unable to trade in real-time. exchange: hybrid, ready for securities and for a marketplace made for the erc721. our users to interact and create a strong community. different, there is little reason for them to believe in our product. 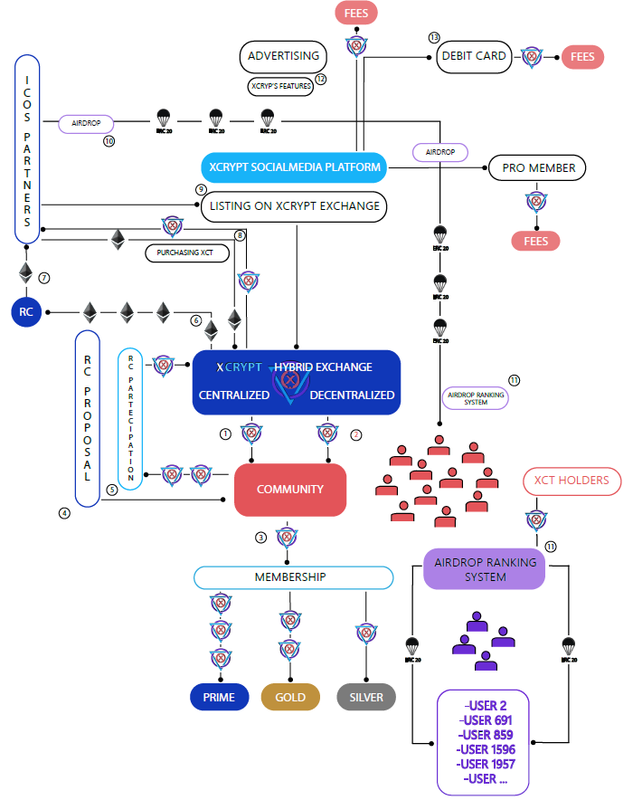 build on the xCrypt ecosystem to take over new markets and reach a bigger target! 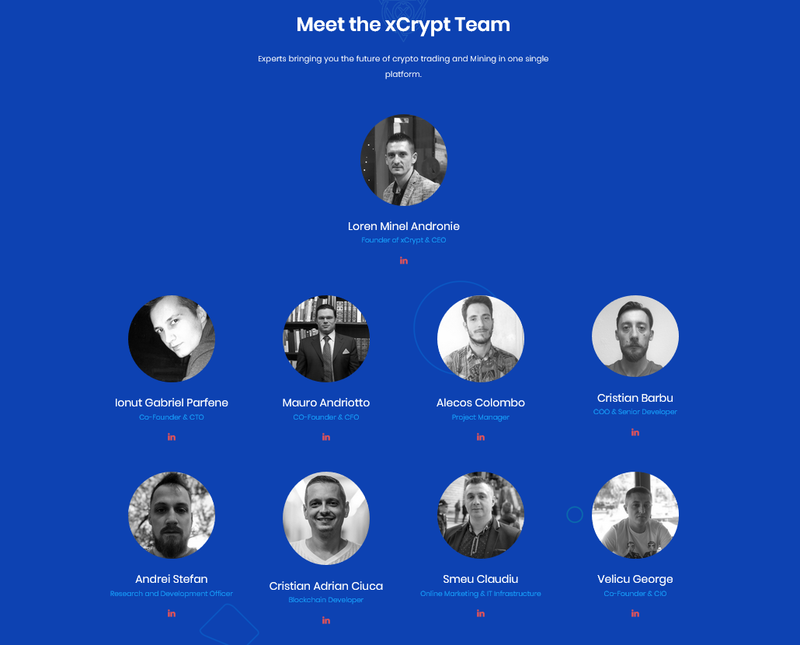 from our competitors and why you should choose xCrypt. current focus on trading facilitation, the implementation of zero fess transaction. our platform can bring you a extra passive profit. will be determined by the different market forces and cryptocurrency exchange systems. XCrypt token does have a finite number of tokens, limited to 200,000,000 tokens. the number of currencies the wallet supports. advanced graphs .A much faster service which will never delay orders or withdrawals . for trades and provide essential information regarding the mobility of cryptocurrencies. What makes our trading platform stand out? high-throughput trading experience in conjunction with a blockchain based settlement. multiple orders at once, and cancel orders immediately without gas costs. 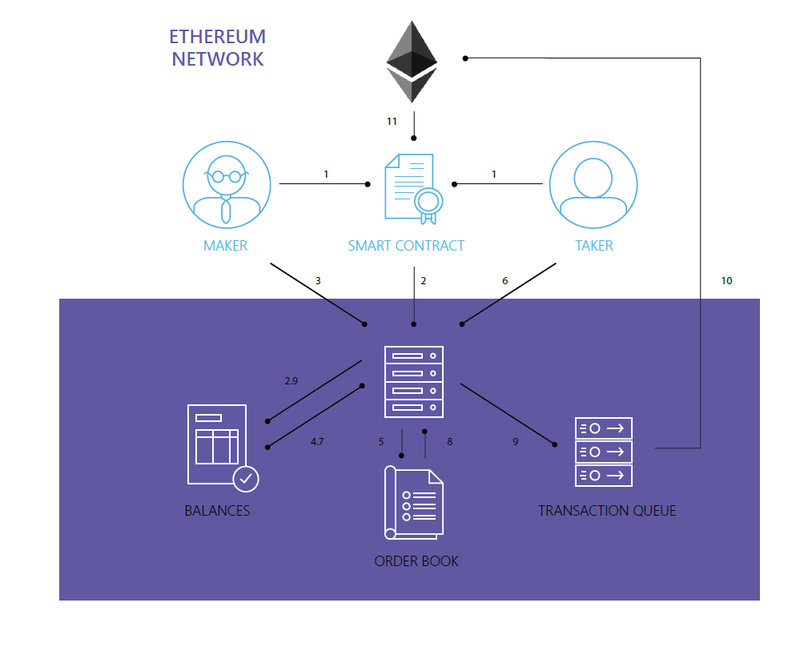 1 - The maker and taker deposit their tokens into the xCrypt contract. 3 - Maker creates and submits a signed order that includes the relevant trade data. transaction matches what was submitted to xCrypt. 5 - If all checks in part 4 pass, the order is added to the orderbook. target order and an amount less than or equal to it. added to the queue to be broadcast to the Ethereum network for processing. 11 - The transaction is mined and the contract balances update to reflect the trade. 99.5% of our users’ funds are kept ina cold storage with multi-signaturetechnology. trading cannot be halted by outside attacks. Passwords in our database are encrypted using Salted SHA-256. all information systems that make use of cryptocurrencies. be to promote Malta as a fair and transparent ICO jurisdiction. blockchain, cryptocurrency and DLT space. Joseph Muscat, Malta’s Prime Minister, told me. strengthen the country’s economy with the creation of a new economic niche. we wanted to change this, Schembri told me. them from federal laws governing securities. tokens that will provide users with access to its decentralized cloud storage platform. these regulations could result in costly penalties and could threaten to derail a project. the ability to issue tokens that represent shares of company stock. investors, and thereby less chance of fraud. 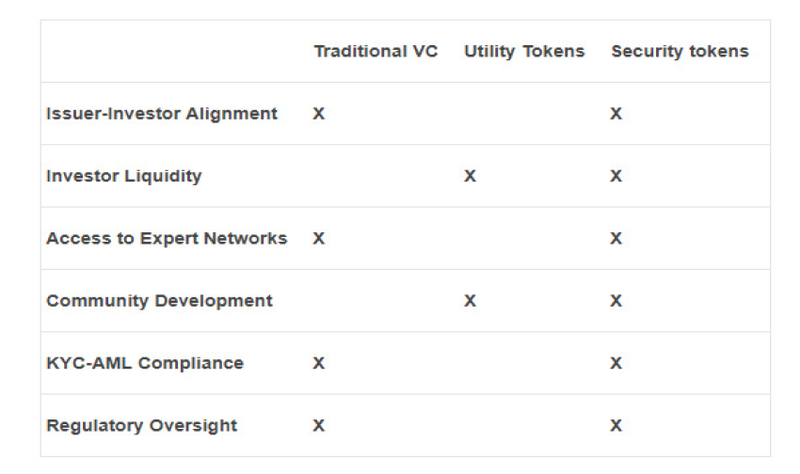 any field to tap into how ICOs work, backed by tangible assets. securities work, thus STOs could be the new ICOs in the years to come. trying to convert them into cash. Security tokens solve both fundamental problems. compliance features to issuers, and a framework for oversight to regulators. 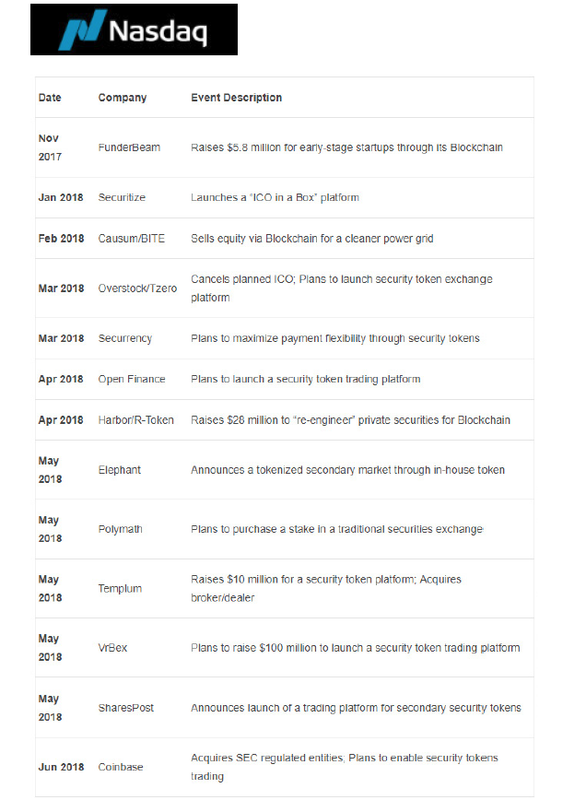 flurry of private tech firms to raise money through security token ICOs. themselves to benefit from the growing secular trend of security tokens. what’s next? Many believe it’s STOs. tangible like the assets, profits, or revenue of the company. marketplace based on the erc721, since we saw in them a big occasion for the future. purchase an item on xCrypt. Many have heard of the new game on the Ethereum blockchain called CryptoKitties. because of its extremely unique idea and the dent it’s made on the Ethereum network. can be thought of as “breedable Beanie Babies” in that each cat is unique in some way. interest in the characteristics of several kittens and wish to own many of them. to a collector is connected to its rareness among other items. discuss a few of those use cases. to see if the ERC-721 standard can be utilized on more sophisticated gaming platforms. intellectual property and to individuals concerned about product authenticity. the ecosystem in which the avatars reside. space, we must be cognizant of the endless possible uses for this new token standard. companies develop thriving businesses utilizing this token standard. community and to our token holders. 1 - the fundraising during the ico phase. 2 - The visibility in the exchange before the listing’s start. the lack in communicating their intrinsic added value to the investors. 3 - too often the token holders don’t have actual advantages in owning them. expressed with A in the equation). value of this parameter is going to be expressed with C in the equation). is going to be expressed with Z in the equation). 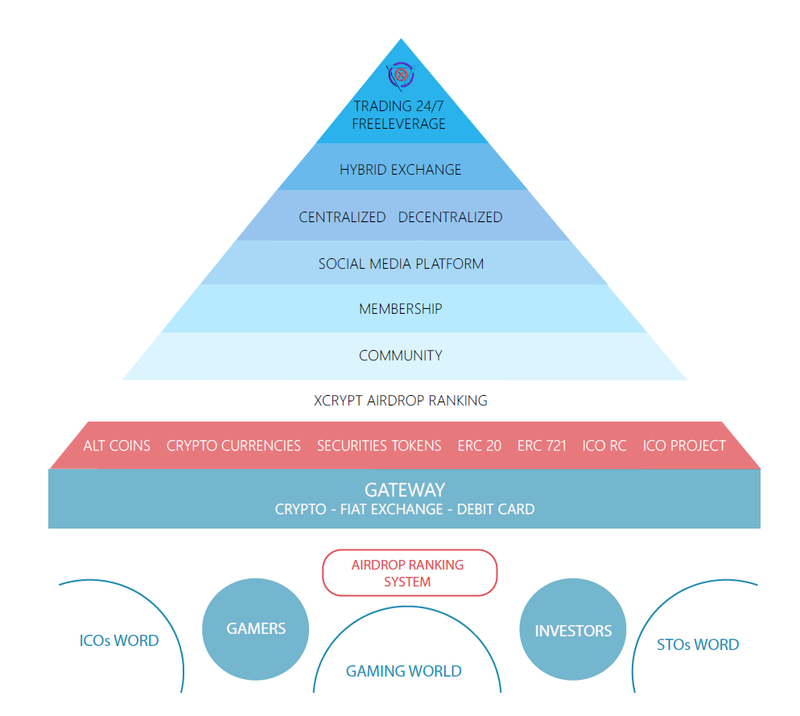 XCrypt does revenues anytime it organizes a rc and it manages an aidrop ranking. payments will be collected by xCrypt. be subject to MONTLY subscription fee. will be subject to annual subscription fee. 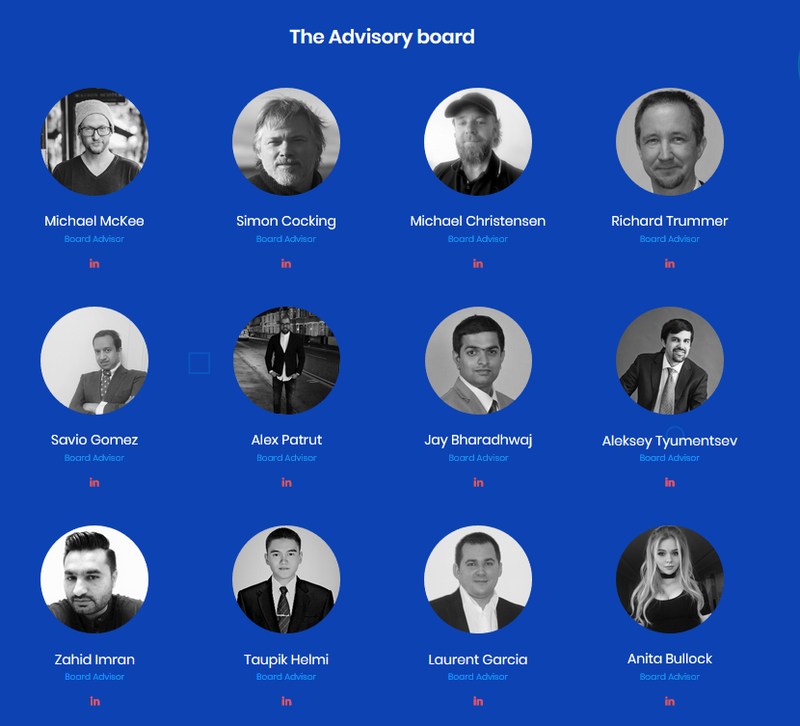 their friends, investors, blockchain experts or even the companies CEOs. Once you’ve entered into our social ecosystem, you can mange every thing. Anyone with a smartphone and an internet connection can participate in global marketplace.